One question that pops up constantly from both first-time and seasoned homeowners alike is "When is the best time of year to buy a home?" Potential homeowners want to know the best time of year to get the best home for the lowest price - and ideally, at a time that makes sense for their life. It would be great if there were a simple and straightforward answer, like "the best time of year to purchase a home is between April 1 and April 7." But unfortunately, it's not that simple. Let's take a look at the factors that play into answering the question "when is the best time of year to buy a home?" The first factor to consider when buying a home is convenience. This is particularly important if you have a family. If you have school-aged children, you ideally want to move in between school years, so sometime between May and August. Pulling a child out of school in the middle of the year can be challenging, and children might have a hard time to adjusting to a new school in the middle of the year. However, because so many potential homeowners have families that want to move during this time period, it drives up the prices, making the summer the most expensive time a year to buy a home. So, if your main concern is convenience for your family, then summer is a good time to buy - just be prepared to pay a higher price than you would at other times of year. If your top priority is having a lot of houses to choose from, you'll want to buy a house during the time of year when the most homes are on the market. That way, you'll have your pick of multiple properties and are much more likely to find a home that has all the items on your wish list. In most areas, the highest inventory peaks in the spring, right before the end of the school year. Inventory stays high throughout the summer and then starts to fall in early autumn, with the lowest inventory happening in late autumn and winter. 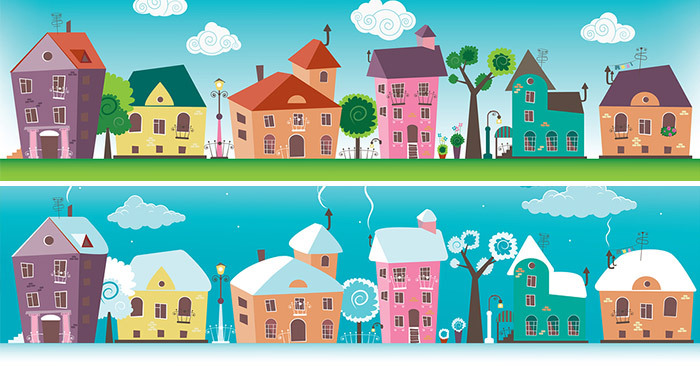 If you want a variety of homes to choose from, look to buy in the spring. If your main goal is to get an amazing home at a low price, the best time of year to buy is when competition is low. When there aren't as many people looking to buy, it drives down the prices of homes, and you can purchase property at a significantly lower rate. On average, homes cost 8.45% less in January and February than they do in June, July, and August. If you were looking at purchasing a $500,000 property, that would bring the price down $42,250 for a sale price of $457,750. That kind of price drop could save you a significant amount of money over the course of your mortgage and lower your monthly payments. If you're looking to get the most house for your money, purchasing a home in the winter is definitely your best bet. The best time of year to buy a home is largely dependent on your needs and priorities. If you're looking to buy at a time that's most convenient for your family (and in particular, your children), buying during the summer is a great option. If you want to see as many homes as possible in order to find a property that has everything you're looking for in a home, you'll want to buy a home in the spring, when inventory is at its highest. And if your bottom line is you want to pay the lowest price possible, purchasing a home in the winter, when prices are significantly lower, will be the most advantageous. Just keep in mind that finding and purchasing a home takes time; while it happens, the chances of finding a property during the first week of looking for a home are slim. On average, people spend 30 - 60 days looking for a home and another 14 - 60 days from contract to close, so make sure to give yourself plenty of lead time to take advantage of the time of year that's best for YOU to purchase.